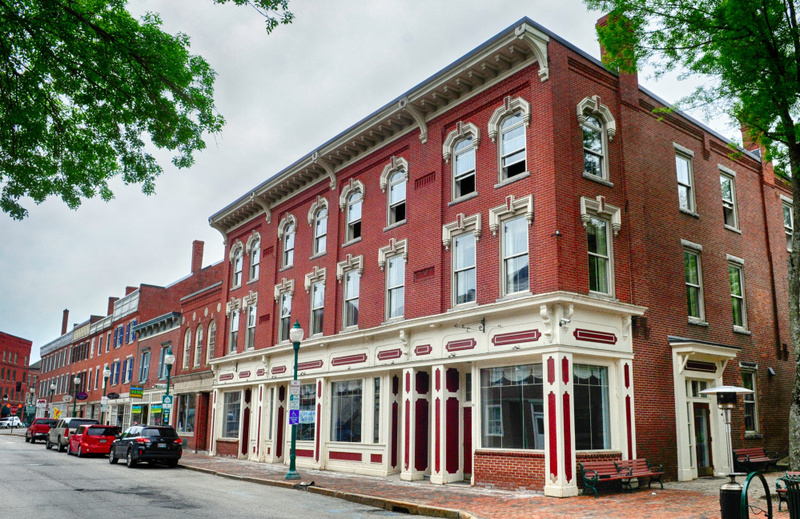 Change is coming to 252 Water St., one of downtown's most visible blocks of historic buildings. GARDINER — For years, blinds covered the street-level windows at 252 Water St., creating a visual barrier between what was going on inside the building and the rest of the world. Those blinds have come down and the new owners of the building are throwing open the doors. 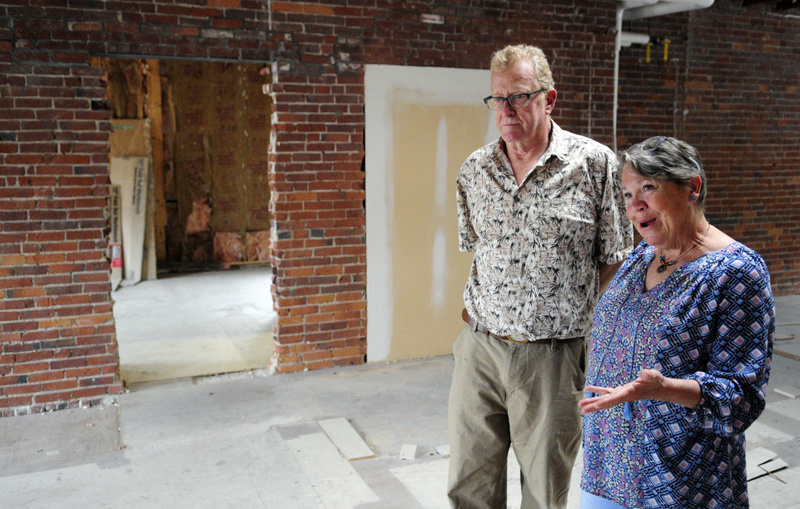 Cheryl Clark and Mike Gent have plans for the architecturally prominent Milliken Block, which became theirs in mid-April. Those plans begin and end with art, wrapped around plans for a microbrewery. “It was the third flood that sold me,” Gent said. He had been looking for a small studio space for himself. For 40 years he’s been working on paintings and drawings while working at his company in Pennsylvania, which manufactures hydraulic pumps and electrical feeds. It’s specialized work with a lot of precision grinding. Gent and Clark had looked at the building before, but at 11,510 square feet, it was too much space, and at close $500,000 it was too much money. “I called and asked if we could buy half,” Clark said. They had looked at other buildings that were more attractively priced, but they would have required too much work. When they finally looked inside the building, Clark said, Gent took only a minute to decide. 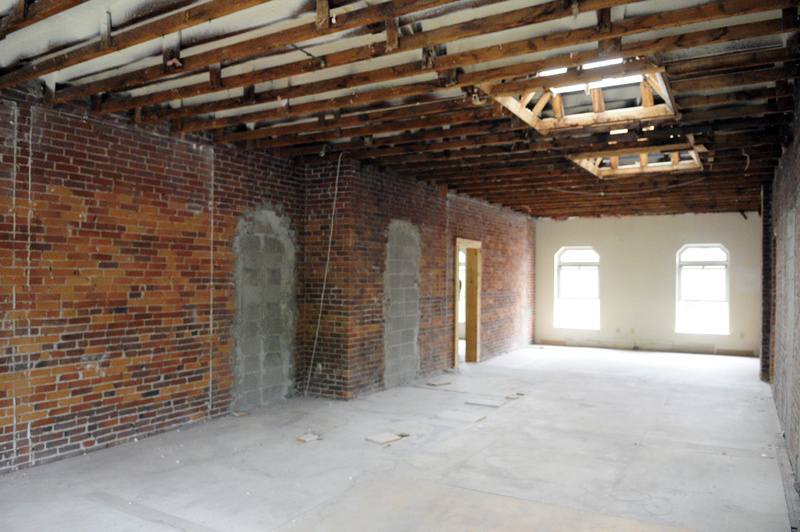 The third floor, which had been apartments at one time, had been gutted, and stood unfinished. “I didn’t care about the first two floors, but they were attached,” he said. They bought the building for less than $300,000 from Camden National Bank. It was among the assets of the Bank of Maine that it had acquired in its 2015 merger with the Bank of Maine. “We bought it with SpinOff Studios in mind, and now SpinOff will be here,” Clark said. Ashley Rogers, program coordinator for the studio, confirmed it’s moving in early in the fall. 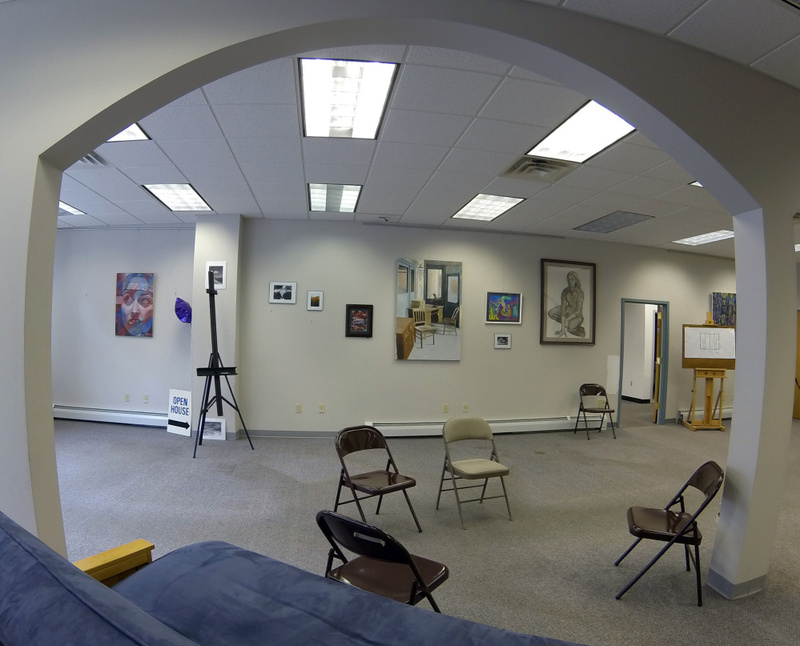 SpinOff, now located outside the heart of downtown, provides creative space for artists and supports them in their artistic practice. It will share space on the first floor with Two Gramps Brewing, which will occupy the space next to Johnson Park. 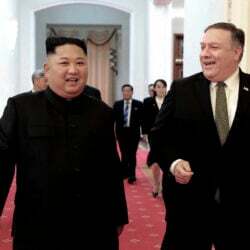 “SpinOff’s current location keeps them isolated. This is a better space,” Gent said. 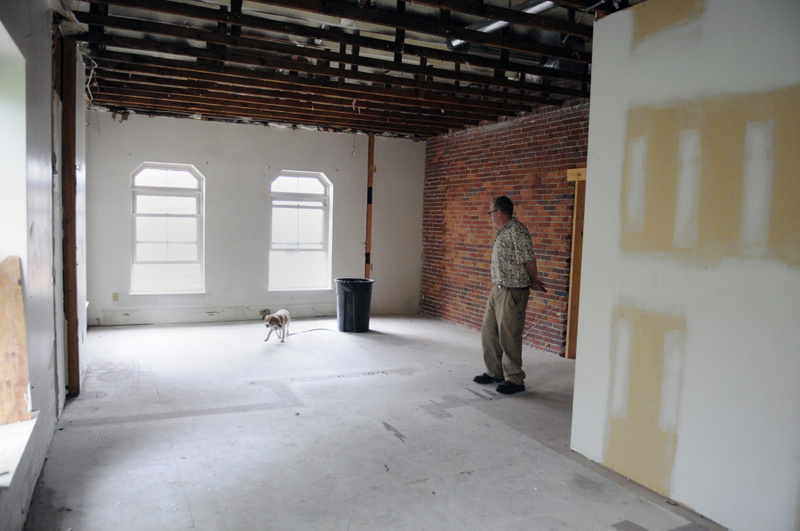 The second floor, which housed a title company at one time, is still fitted out as professional space. Clark and Gent are planning to find a tenant for that space, perhaps an artists’ agency. The third floor is the key. Brick walls divide it into four unfinished spaces, all are lit front and back by windows and overhead by skylights. Gent already has picked out the spot for his studio, overlooking Johnson Park. There’s space for a second artist. The other rooms are designated for shared studio space, collaborative space and maker’s space with a wood shop. That’s only part of the work on the list for the contractor. It also includes electrical work on the third floor and moving walls on the Water Street level. The details are all coming together, she said, like a Rubik’s cube, a three-dimensional puzzle. Some of those details will be handled by other people. Kristy and Joe Gould are working on the microbrewery, Two Gramps Brewing. They have signed a lease, a necessary step for securing federal approval for making beer there. Gould said both the timing and location were right. They didn’t want to lose the chance to have a microbrewery across from Johnson Hall as the performing arts center is undergoing renovation to reopen its large upper theater, she said. “We could not have found a better place or nicer people,” she said. They are planning for an opening date in the fall. Both Clark and Gent are from Pennsylvania originally, but they say they have found a home in Gardiner. Clark’s history with the area stretches back to her childhood. Her family owned a summer place on Cobbossee Lake. As they grew older, two of Clark’s three sisters settled in Maine, as did her mother. She had been living in Pennsylvania with her third sister, who had been diagnosed with Alzheimer’s, when she decided to move to Gardiner, not far from an Alzheimer’s care facility for her sister. She had read about the city’s Heart & Soul initiative, a community planning project that helped shape ideas about what Gardiner could be in issues of the Kennebec Journal that one of her sisters in Maine had sent to her. “I thought there’s some magic in this,” she said. Even though Clark already had moved, Gent proposed, and they married. Gent returns regularly to Pennsylvania, where he is in the process of turning over his manufacturing company to his second-in-command. “He’s a rural guy, and this small town has completely won him over,” she said. 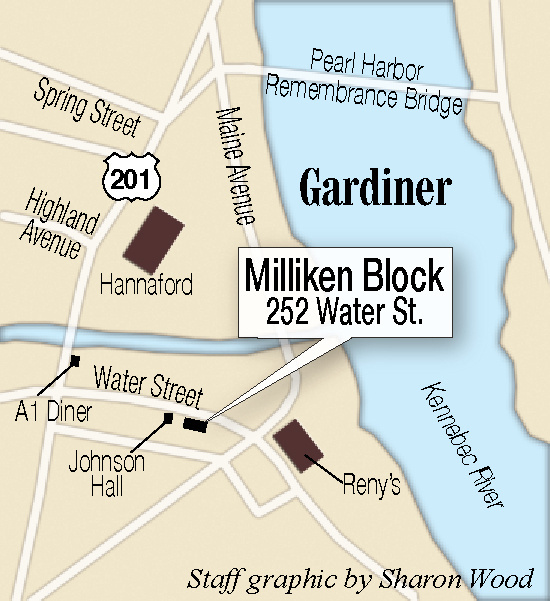 For Patrick Wright, executive director of Gardiner Main Street, having local owners develop a downtown building is gratifying. “I met Cheryl on the street shortly after she moved here, and the first thing out of her mouth was ‘Heart & Soul.’ It was proof of the value of a community doing the hard work to determine its future,” Wright said. 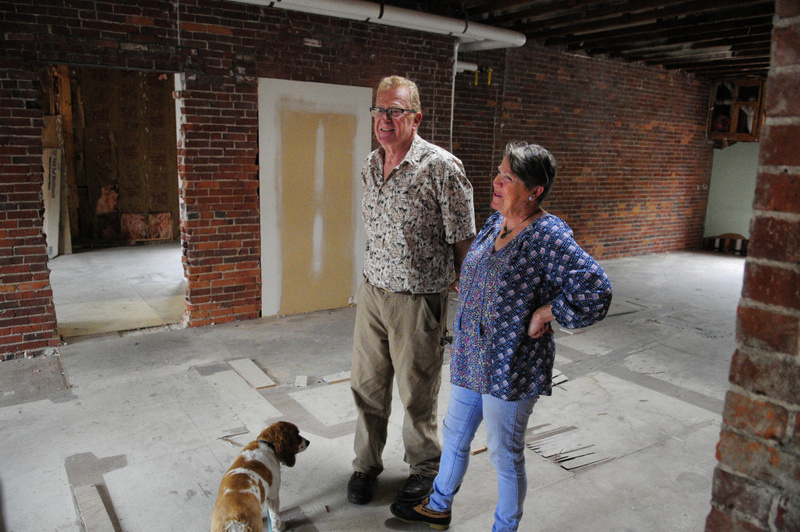 What Clark and Gent are doing falls into one of Gardiner Main Street’s key transformational strategies, he said, by focusing on arts and culture. “As the retail climate starts to change, this type of use attracts creative folks, and arts and culture is increasingly important,” he said.